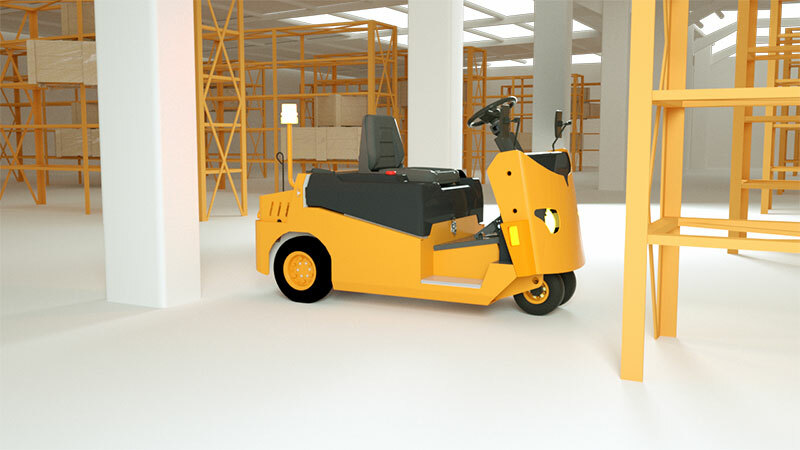 The electric 4 wheel counterbalance forklift truck is equipped with a surrounding type seat which is an ergonomic design. 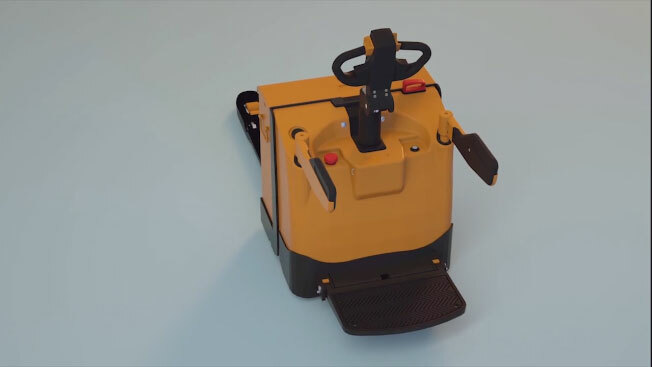 It allows for waist adjustment and helps the operator maintain proper driving posture. 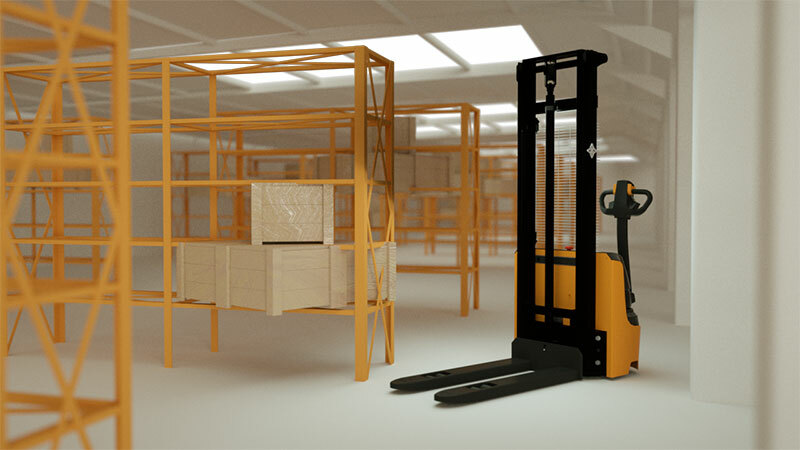 The overhead guard is made of an irregular polygonal extruded material which delivers good compressive resistance and impact resistance in order to ensure the intensity of the overhead guard. 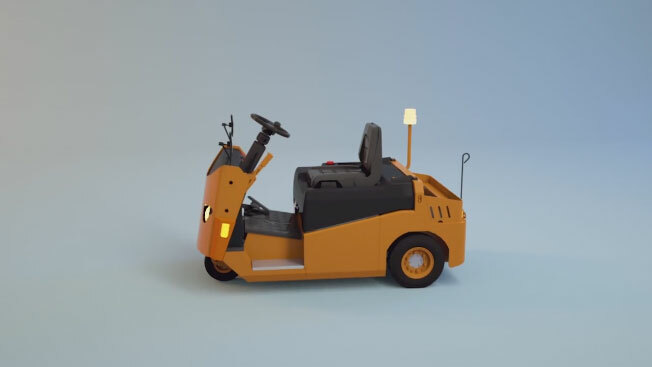 Meanwhile, it can protect the driver from being hurt by falling materials. 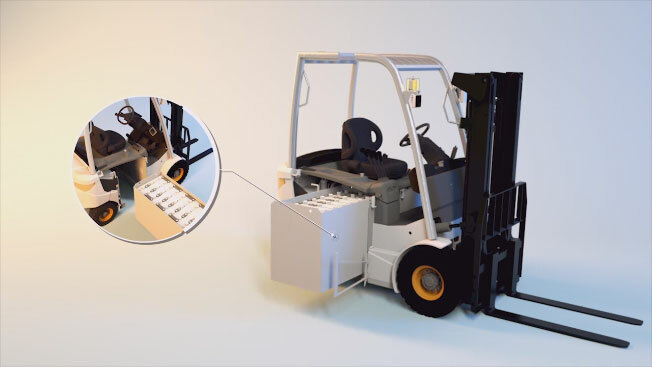 The battery can be loaded and unloaded at the side so that the time of changing battery can be effectively reduced and the working efficiency can be improved, especially for the working condition with higher working intensity. The seat is adjustable. 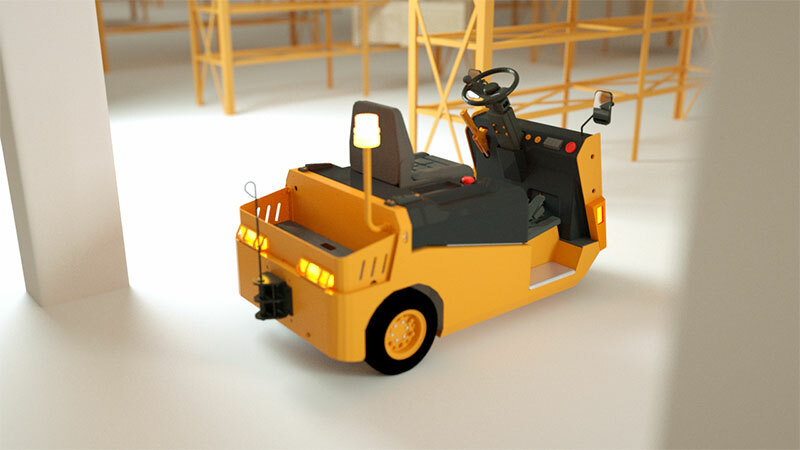 The soft seat can relieve fatigue and provide a safe and comfortable driving experience for operators. 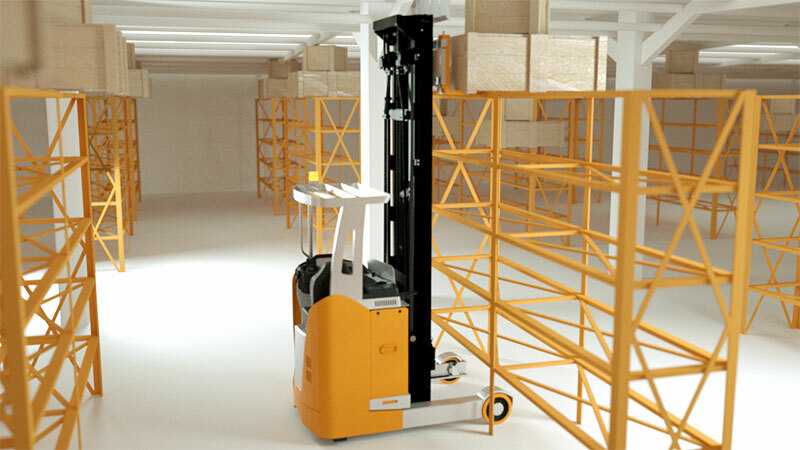 The max lifting height is 12000mm which can satisfy the requirements of goods stacking in certain height. 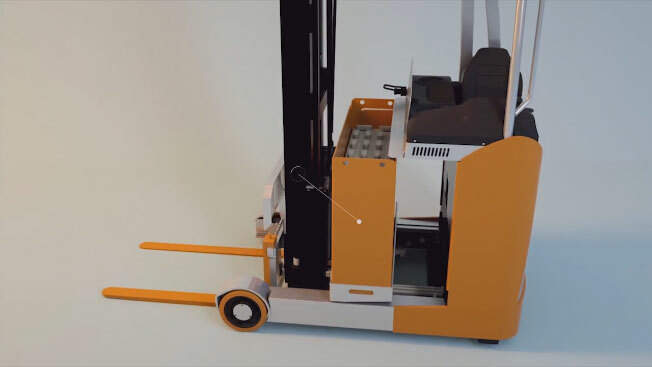 The fork can tilt forward and backward for easy loading and unloading of goods and material, thus improving the transporting stability of the reach truck. 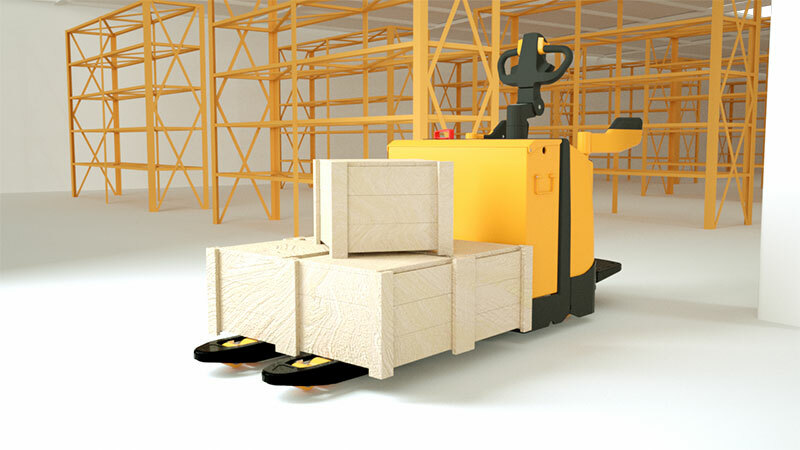 The adjustable balance wheel features strong stability, so that the operation can be more stable, safer and more reliable. 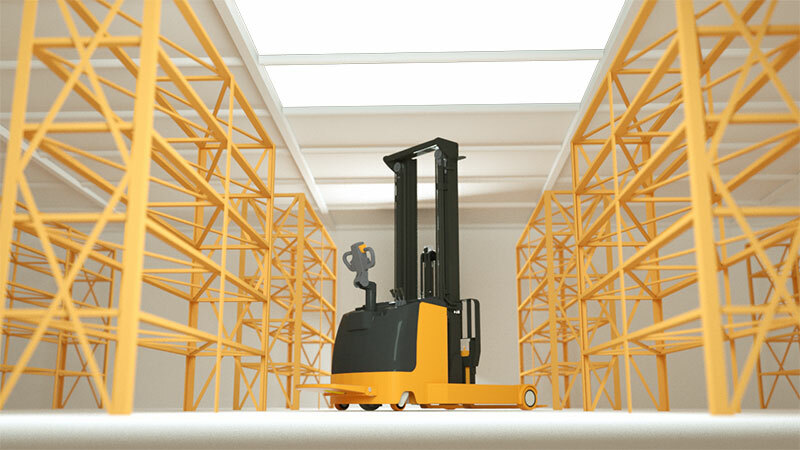 The fabricated connection of the mast and stacker frame can realize easy installation and changing of the mast as necessary. 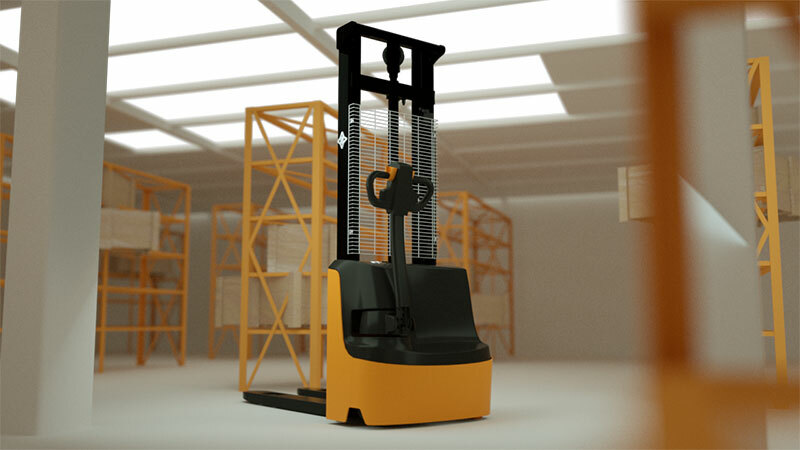 The hydraulic cylinder is located at the right-middle side of the stacker, thus providing a wider field of vision for the operator. 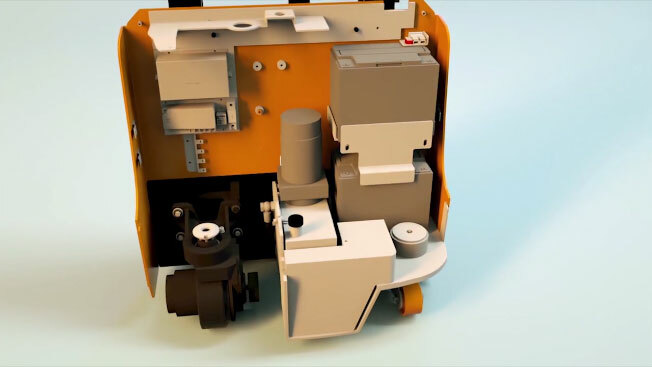 Dual balance wheel device, this device has a high passing ability because the running is stable. Safety switch, the power can be rapidly cut off in an emergency to ensure safety. 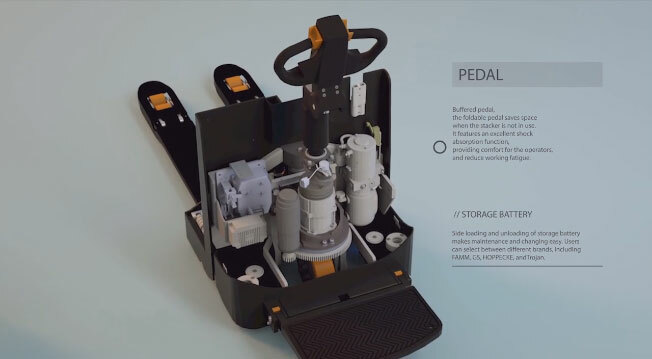 Buffered pedal, the foldable pedal saves space when the stacker is not in use. 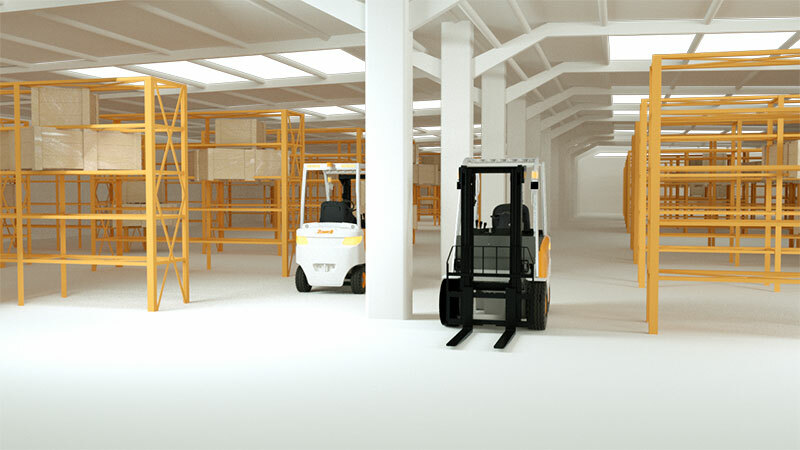 It features an excellent shock absorption function, providing comfort for the operators, and reduce working fatigue. 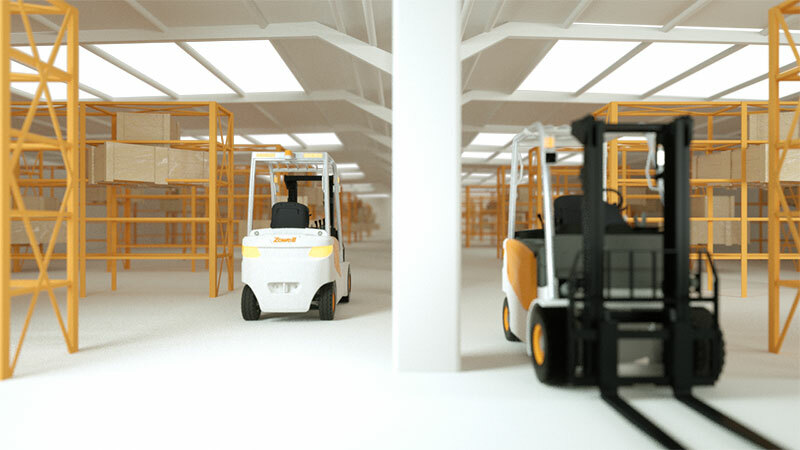 Side loading and unloading of storage battery makes maintenance and changing easy. Users can select between different brands, including FAMM, GS, HOPPECKE, andTrojan. 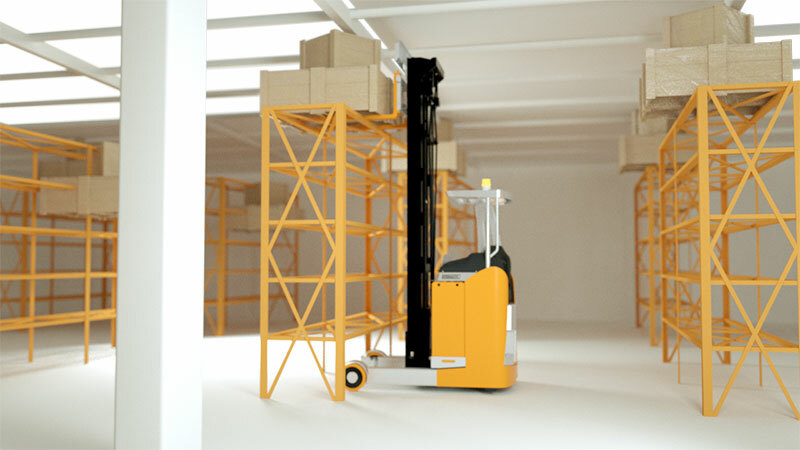 This reach truck adopts an original multifunctional handle from Frei, Germany. The operation is comfortable and the functional buttons can realize precise control. 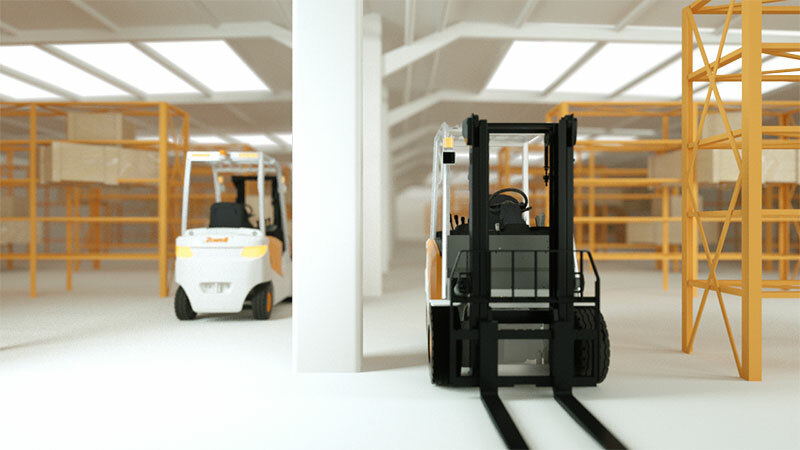 Different valve stem has different functions such as fork lifting/descending, fork tilting forward/backward, gantry moving forward/backward. The distribution of valve stem is compact. 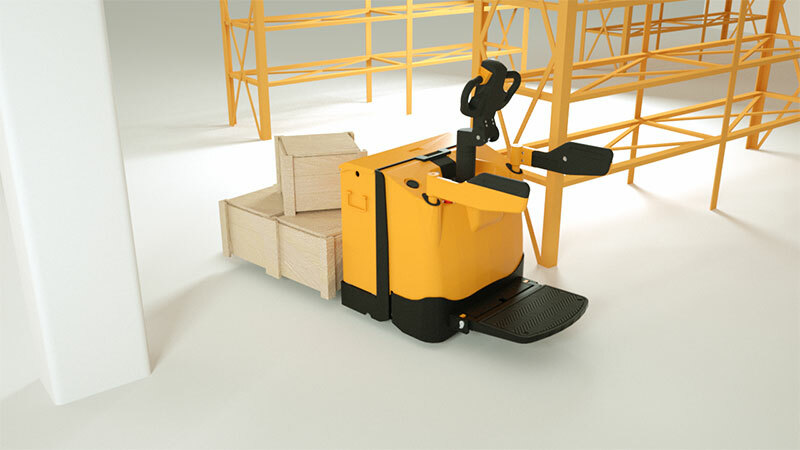 The operator can carry out operation with only one finger, realizing precise control. 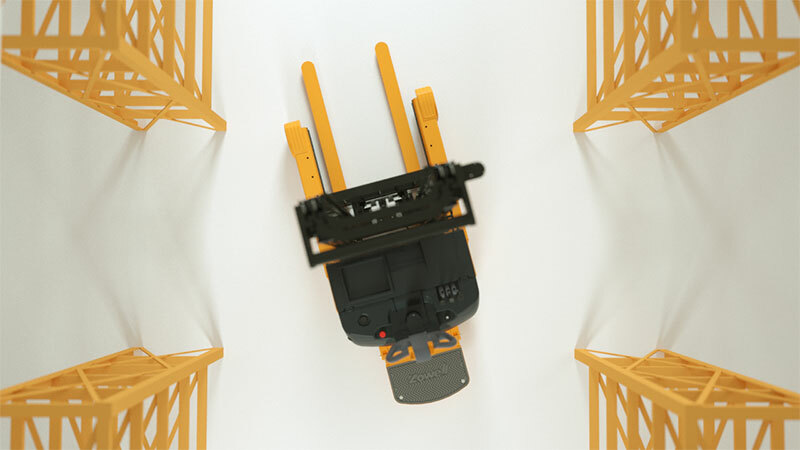 The low boarding pedal can realize easy boarding of operators. It also has anti-slipping function.